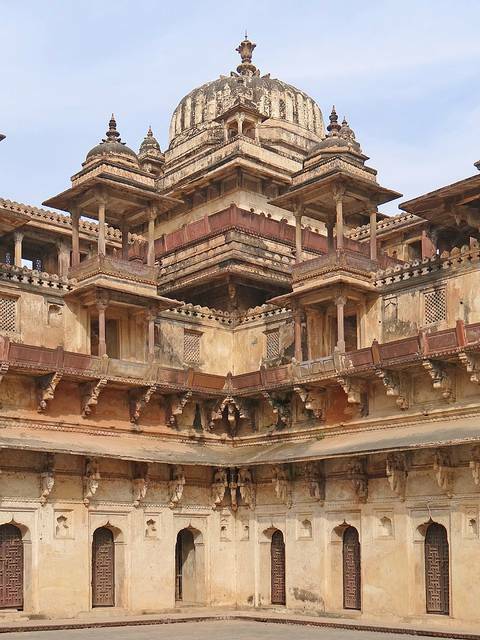 Raja Bir Singh Deo got Jehangir Mahal constructed in 17th century and was named after King Jahangir. This three storied Mahal depicts the richness of the Indo-Mughal architecture. Hanging balconies, arches, domes and ceilings of the palace are worth seeing. Chattris and trelliswork around the palace make it even beautiful. Take a guide here to understand the culture of times and some good stories.